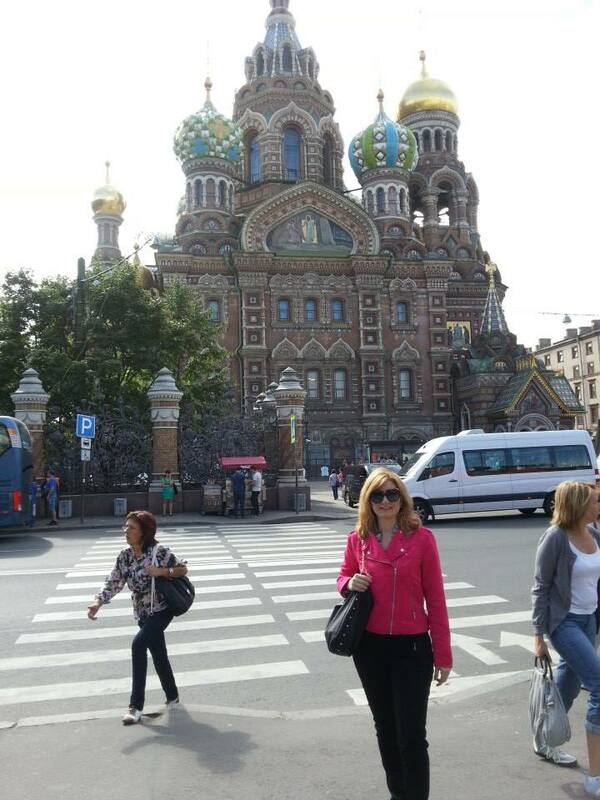 As was telling previously I will try to summarize my experience in Russia: Moscow and St. Petersburg. A wonderful holiday, organized by Boscolo Travel, cured in every detail. From Moscow to St. Petersburg you can get there by train or by plane, I chose a fast train that brings in 4 hours from Moscow to St. Petersburg, a distance of 700 km. 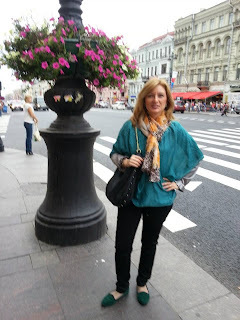 Exploring from the window small towns and the beautiful countryside landscapes of the Great Russia. 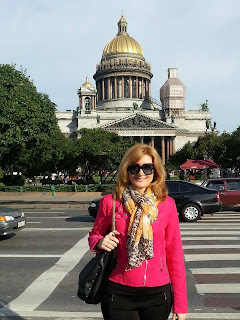 St. Petersburg, the new capital of the empire wanted by Tsar Peter the Great founded in 1703, a city of unique beauty and refined by the best architects of the time, many of them Italians, who built palaces, churches and monuments on over 100 islands intersected by canals and bridges over the delta of the Neva river. 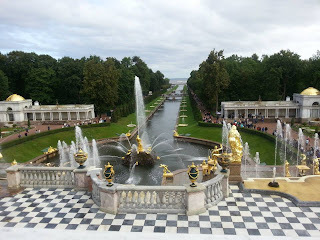 St. Petersburg is a city of about 5 million inhabitants, the second largest city of Russia in size and population, as well as the most important port. 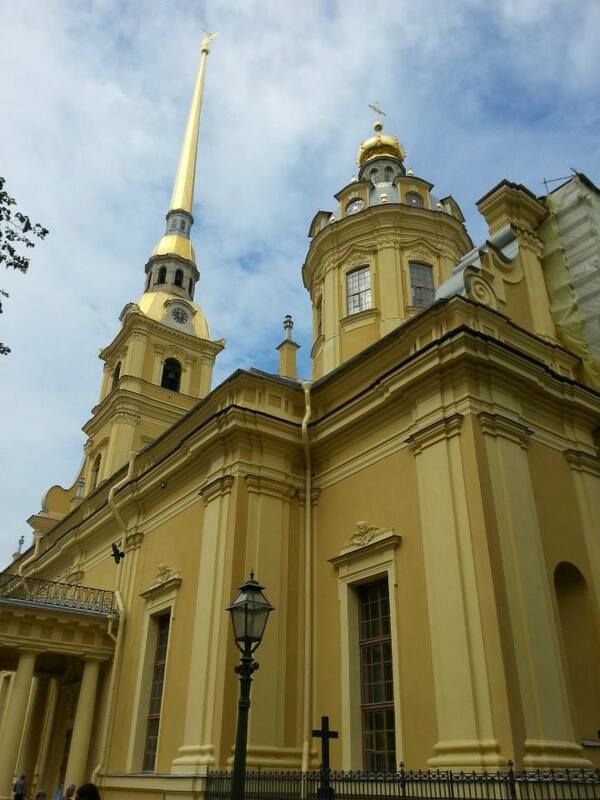 Its historical center is included in UNESCO's list of World Heritage. In the picture I am in front of the Church of the Savior on the Spilled Blood. 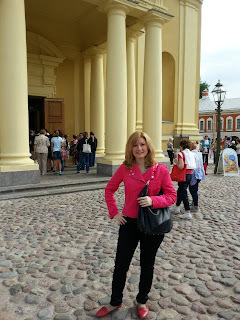 Beautiful the Fortress of the Saints Peter and Paul, built by Tsar Peter as stick defensive against the Swedes, where now lie the remains of the Romanovs. 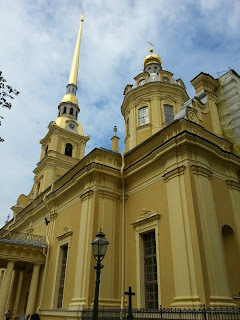 A citadel built from 1703 by architect Domenico Trezzini, by order of Peter the Great, in the picture the Cathedral of St. Peter and St. Paul located inside the fortress. I highly recommend a visit to the summer residence of the Tsar at Petrodvoretz-Peterhof, with a beautiful view to the Gulf of Finland, a palace famous for its beautiful interior, surrounded by beautiful fountains and water waterworks in the park. 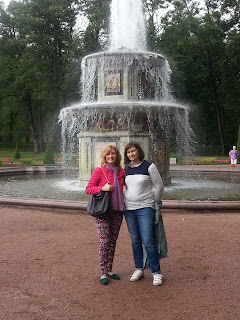 Thanks to the tour guide Elena, as well as teacher of languages ​​at the University of St. Petersburg, I could enjoy a guided city tour with explanations of each work of art in every detail, a very intelligent woman, connoisseur of Russian history and specifically the city St. Petersburg in every detail, her hometown. A must to visit the Ermitage Museum, consisting of five buildings: the elegant Winter Palace of the empire, the little Ermitage, the Great Ermitage, the New Ermitage and the Ermitage Theatre, the museum is located along the river Neva, designed by Italian architect Bartolomeo Rastrelli, who was appointed court architect by Tsar Peter the Great. 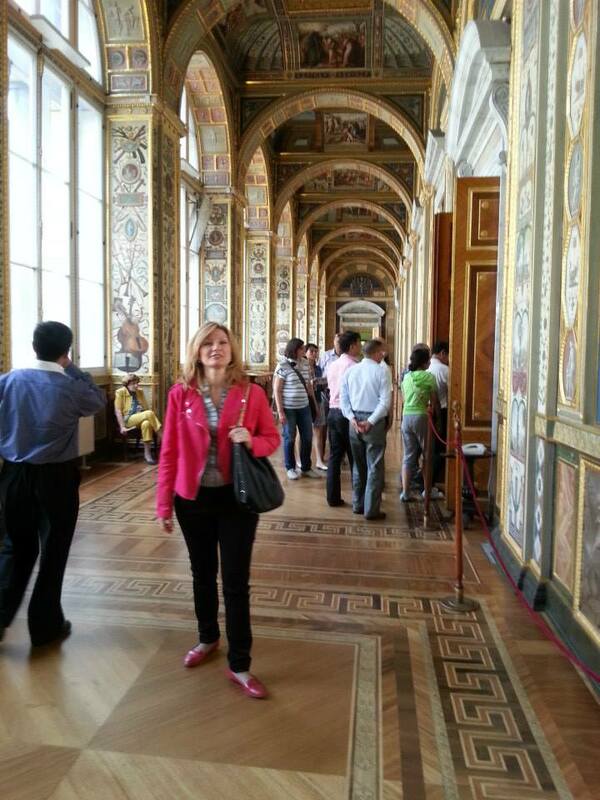 The Tsarina Catherine the Great loved to take refuge in the Small Ermitage to escape the hustle of the court. Following a path along the Ermitage among the most important of the 400 rooms of the museum which houses a vast collection of paintings, sculptures, graphic works, archaeological and art objects of all kinds. 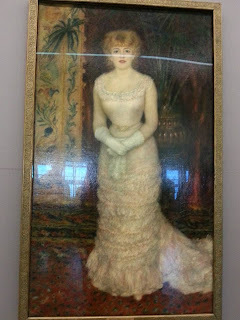 In the picture the work of August Renoir: a portrait of the actress Jeanne Samary, 1878. 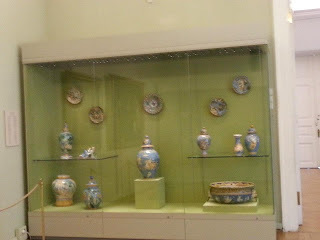 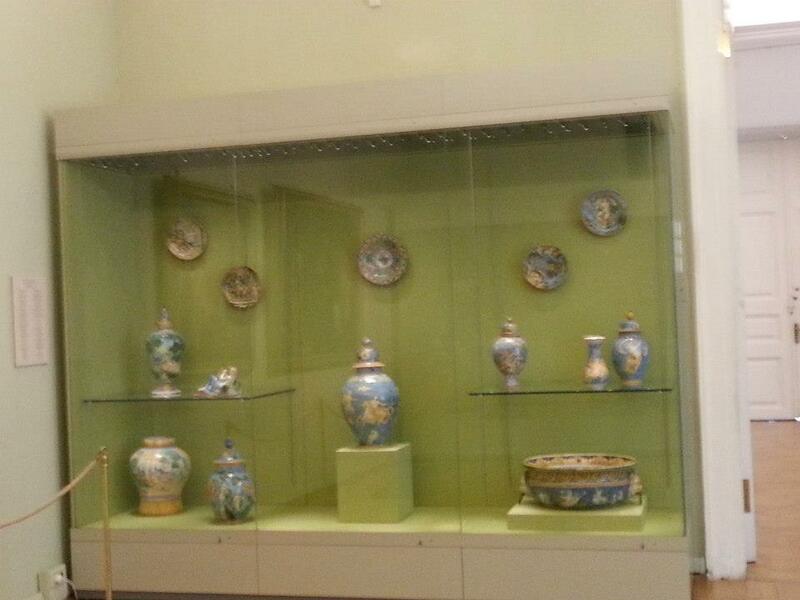 In the Ermitage Museum, among the archaeological sites found, there are the embroidery and the porcelain used in the Russian imperial era, as in this photo. 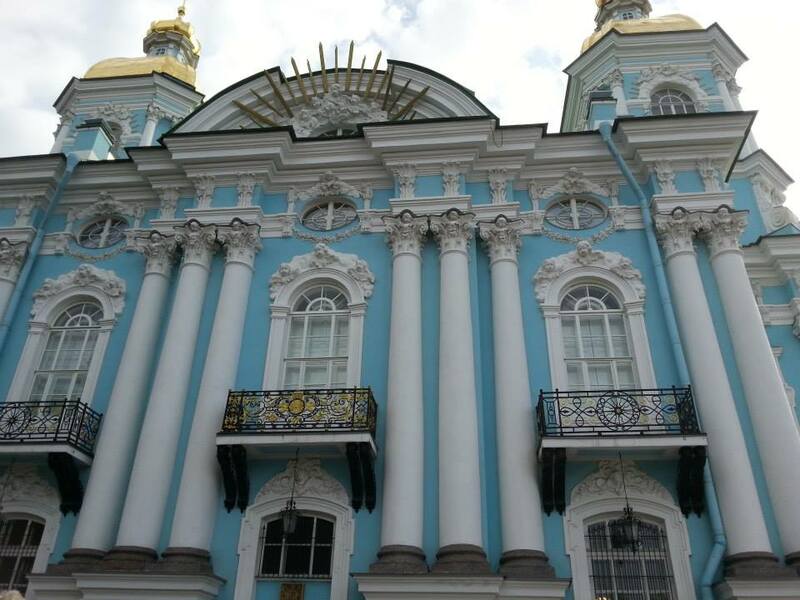 Very beautiful the St. Nicholas Cathedral, is one of the most important churches at St. Petersburg, in the Elizabethan Baroque style, in a neighborhood once populated by sailors, dedicated to St. Nicholas, the patron saint of sailors, in fact. 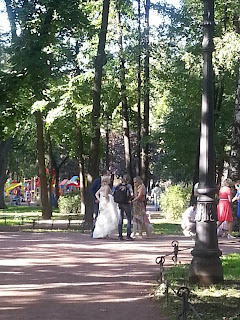 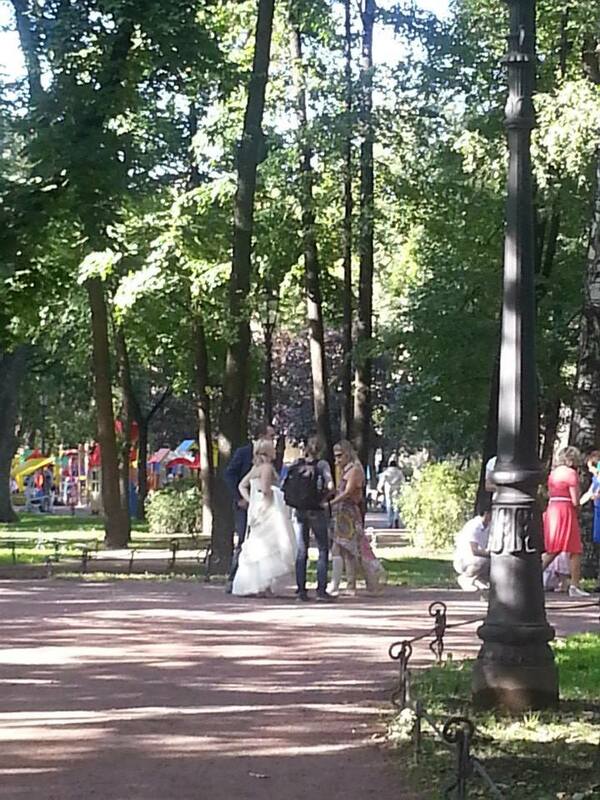 Like I saw at Moscow, also in St. Petersburg, the young couples love to capture their wedding day being photographed in the many squares and monuments of the city, before heading to the party at the restaurant or the hotel. The Russian cuisine in St. Petersburg continues to enchant with its typical dishes and friendly waiters in traditional clothes, this photo was taken in the restaurant Yolki-Palki, wood-paneled and decorated inside with artificial animals and trees to recreate a Russian countryside setting. 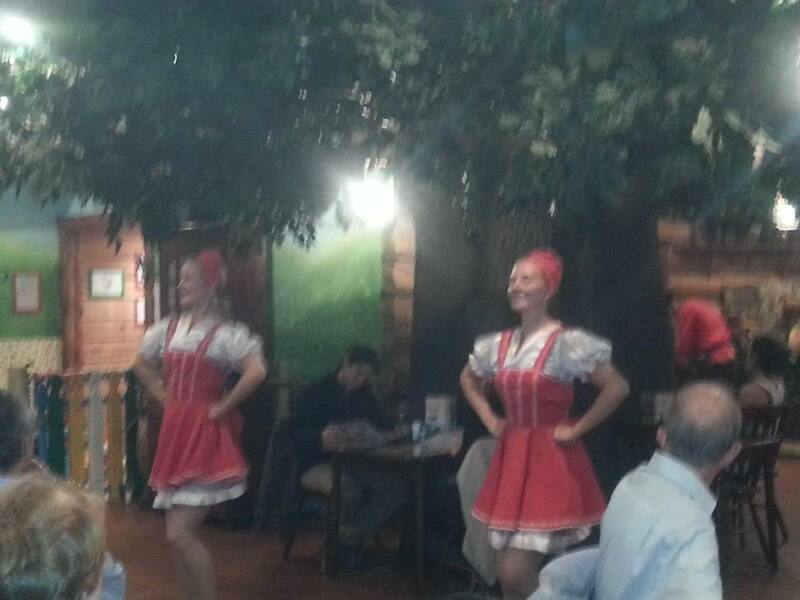 In the restaurant Yolki-Palki, the center of attention are the nice dancers who entertain with traditional Russian ballet, but also the self-service Russian Salad Bar, where you can reinterpret the traditional Russian salad at your wish, the same dancers sell and serve the traditional vodka. 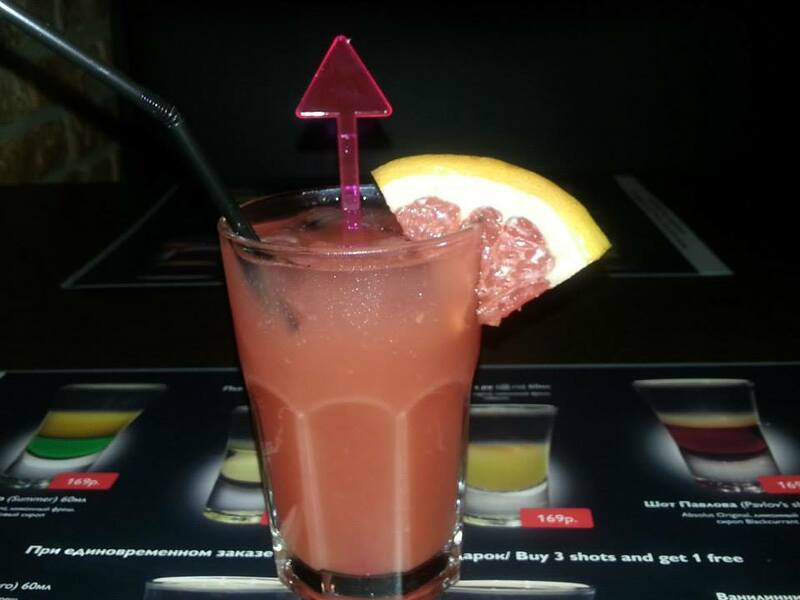 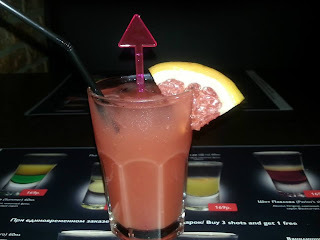 Speaking of Vodka and 'Movida', in St. Petersburg there are a lot of opportunities to enjoy a happy hour with a variety of cocktails available, in modern premises with cover bands and DJ sets.